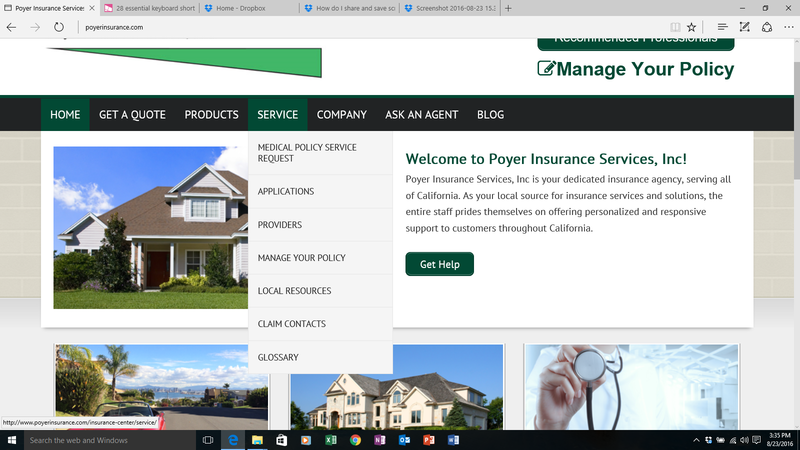 At this very moment our new website, www.poyerinurance.com is live and ready to use. 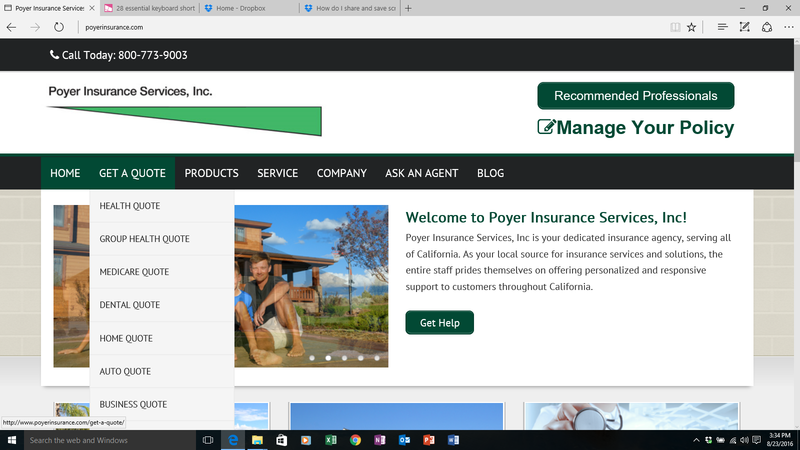 Excuse my excitement but after 2 years and several delays our site is live and ready to make our clients Insurance experience just a little easier. Our new website is accessible through your desktop, laptop and all mobile devices. It’s safe, secure and any information you enter will never be shared with anyone. 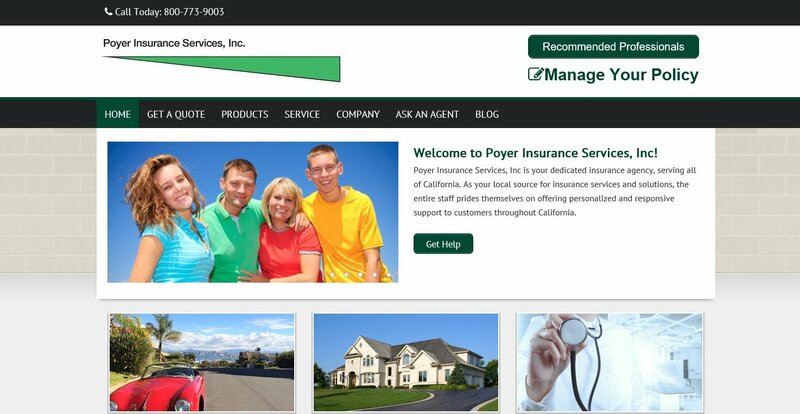 You can now request quotes on all of the insurance products we provide by simply clicking the “Get A QUOTE” tab and choosing from any of the products in the drop down menus such as Home quote, Auto Quote or Health Quote, completing the Quote Request form or with some products such as Health, Medicare, Dental and Vision you can get an immediate online quote. On the “Products” tab you’ll be able be able to see the various insurance products we have available as well as get more detailed information about specific insurance coverage. One the features I’m most excited about is the “Service” Tab. Designed to help meet the needs of our clients. From the Service tab our Medical policy clients will be able to send us help requests directly from the site, access application and forms, link to their carriers provider lists and look up doctors, hospitals and other medical professionals. All of our clients and visitors will be able to access Local Resources, find a list of claim departments contact phone numbers and review those confusing insurance terms through the Glossary. 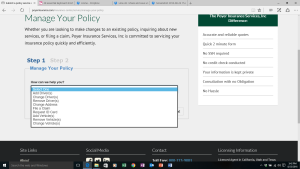 Because we know your time is important you can also use the “Manage Your Policy” button in the upper right corner to request help on any type of policy. You or your friends and family members can use the “ASK AN AGENT” tab to ask any questions or leave comments. Once again all questions are confidential and will not be shared. Keep an eye out for future newsletters and links to our Blog. We’ll be posting important updates and information on insurance products, carriers and legislation as well as information that will potentially affect your policy premiums and coverage. Coming soon will be our list of Recommended Professionals, a list of our friends and clients that provide outstanding service in their professions and come highly recommended. If you’d like to be listed please send me an email to poyer@pacbell.net . 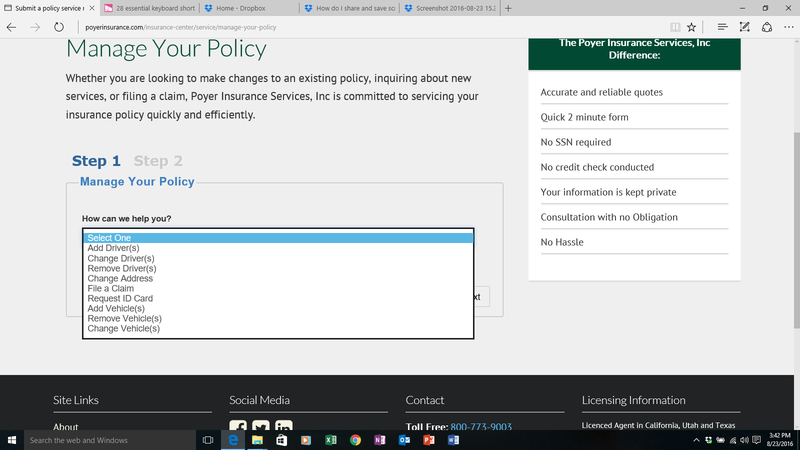 I hope you all like the website and that it makes your policy experience a little easier. Very educational, looking forward to returning. I just want to tell you that I am new to blogging and definitely loved your page. Likely I’m going to bookmark your site . You actually come with beneficial posts. Thank you for sharing your website. Wow, this post is nice, my sister is analyzing such things, therefore I am going to tell her.